OK, a ridiculous amount going on in the next few days, just getting to Comic-Con International: San Diego. And once there, plenty more going on. So let's launch into my schedule, shall we? 2:00-3:00 p.m. -- Star Wars: Knight Errant novel signing at the Del Rey booth in the Star Wars Pavilion. Free copies of the novel for attendees while they last! 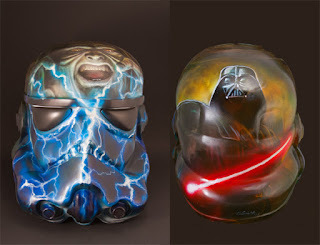 1:00-2:00 p.m. -- Dark Horse Star Wars 20th Anniversary panel, Room 7AB. As described here, attendees receive an exclusive Knight Errant print! I'll be there with editor Randy Stradley, editor Dave Marshall, writers Scott Allie (Jedi: The Dark Side), Tom Taylor (Invasion), Dave Filoni (director of The Clone Wars TV show), artists the Fillbach brothers (The Clone Wars comics), Leland Y. Chee (Lucasfilm’s “Keeper of the Holocron”), author Timothy Zahn (Choices of One), Shelly Shapiro (editor at large, Del Rey), and more. Plus, there will be a chance to win a custom stormtrooper helmet illustrated by Chris Scalf (Blood Ties)! Plus there'll be news on the future of Star Wars digital comics . . .
3:30-4:30 p.m. -- Star Wars: Knight Errant comics signing at the Dark Horse booth. 10-11 a.m. -- Mass Effect comics signing at the Dark Horse booth. 4-5 p.m. -- Dark Horse/Bioware panel, Room 23ABC (I believe that's the location, but check your programs in all cases here). With Mac Walters of Bioware, we'll be talking about, among other things, Mass Effect Invasion, our new series just announced! I'll be in the convention center at other times; I'm probably most easily found at the Dark Horse booth, but I may also be seen rifling through old boxes of back issues, looking for the elusive copy of Disney's The Black Hole #4. (No, seriously. They kept them all!) Hope to see you there! Lost Tribe #7 now available on Amazon! 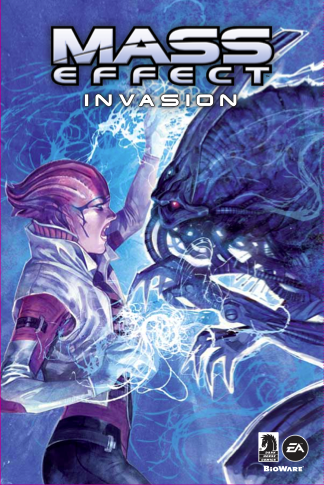 Mass Effect: Invasion announced for October!